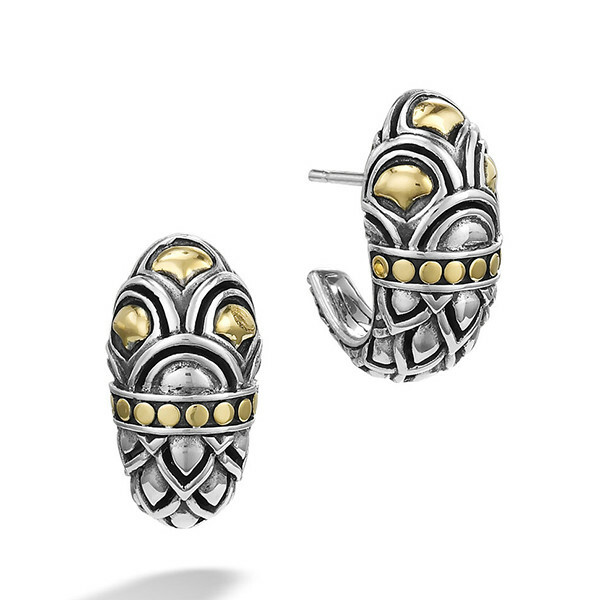 These John Hardy Naga shrimp earrings are hand wrought in silver and feature 18 kt gold accents. Each earring displays three gold dragon scales surrounded by sterling silver with blackened details. A band of gold dots divides two intricate patterns creating a design that is visually appealing. These John Hardy shrimp earrings are subtly chic!